By when will all the seven phases of Metro be operational? The MMRDA has already started the elevated corridors because they are relatively easier to complete. They are planning to commission them by 2019 itself – at least the first two phases – 2A and 7A. And the rest would follow. 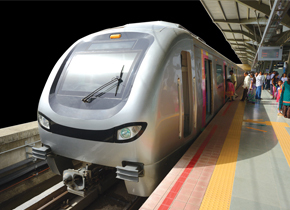 Phase 1 of Line 3, i.e., Depot to BKC will be completed by September 2020 and the rest of the corridor by March 2021. Most of these Metro corridors will be up and running by 2021, i.e., in four years. Even if some delays occur, in the next five years most of these corridors will be done. Are we looking at projects beyond Metro too? Today, Mumbai’s major infrastructural handicap is transportation mainly because of the congestion on the roads. Corridors built in isolation may benefit but you do not reap full benefits until the entire network is complete. Once the whole network is completed, transportation will be fully under control. But, you will still need better road connectivity. You will still need lot of over bridges and over rail, because east-west connectivity needs to be improved further. For improving road connectivity, major road infrastructure – Eastern Expressway, Western Expressway, Sahar Elevated Road, a lot of flyovers on all arterial roads – has already been built. Not much can be built further, except coastal roads which are being planned. Expansion of the existing road network has been done to a large extent but still there are a lot of missing links. 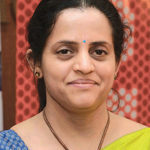 MMRDA is working on the BKC Connector – another East-West connectivity project from BKC to Chunabhatti. They are making a bridge across Mithi river and then an elevated road to Chunabhatti. 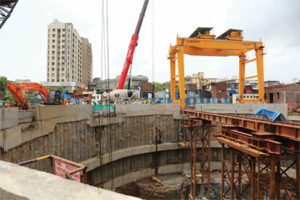 Since most of projects were taken up in isolation, MMRDA and Municipal Corporation are now integrating them. For example, Eastern Expressway and Santacruz-Chembur Link Road land at Mankhurd junction. So, while you may travel fast over each of them, your movement gets disjointed at the junction. Now MMRDA has already planned (to change) the movement at the junction there. All the smaller or niche areas where the old infrastructure exists and which need further improvement are being looked into. 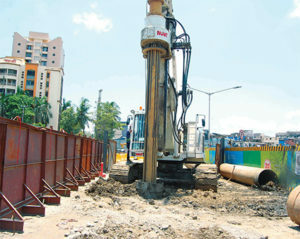 The bottlenecks are being identified and improved upon by MMRDA. That will improve road infrastructure and road connectivity substantially. The Municipal Corporation has also planned a lot of flyovers on those areas to cater to the congested junctions and meet the requirement of through connectivity. If elevated metro is planned at a junction and a flyover too is planned there, then a conflict crops up which needs to be resolved. So either flyover will come first and metro will go on top of it or Metro will come first and flyover would go on top of it. Such issues are being discussed too. Our AFC system, the common mobility card, will be an open loop system. So the same card could be used for many other services. Like in London you take one Oyster card and you travel on bus and boats and so many other modes. Singapore, Japan and Hong Kong have it too. We will have it here soon. In the absence of Multi Modal connectivity and with Public Transport not providing door-to-door connectivity, people will not switch from private vehicle to Public Transport. Your comment. True. Unless the whole network is completed, you won’t get that feel of full connectivity. So we are ensuring multi-modal or intermodal connectivity between the two Monorail corridors. Also MMRDA, appointed by the State Government as the nodal authority, has already initiated the process of Common Mobility Card (CMC). Accordingly, we too are also designing our own AFC system. Railways and BEST, after initial reluctance, are on board too for CMC. All now realise that till all the modes of transport are connected not just through physical infrastructure points but also through CMC, their own business will be adversely affected. In the next five years, once this whole Metro connectivity is ensured, then probably you can just switch over from one corridor to another corridor to reach your desired destination. Are we really looking at a very well connected Mumbai in the future? Absolutely. All the seven Metro lines will be connected to each other and the suburban stations. The remaining areas will be catered to by the Sea Coastal Road which will come later. Internal radial modes will also be created. The two suburban corridors do not have anything in between them for connection today. Every development in Mumbai happened across the suburban corridors. Even offices were developed close to the station. It was a very simple transport. You come, get down at station, take a BEST bus, and reach your destination. Everything was within walking distance. But later a lot of land got unlocked in Mumbai. For example, the entire mill land, which doesn’t have rail connectivity. Huge development is happening there now – both commercial and residential. So naturally those areas need connectivity. Earlier, Nariman Point used to be the only employment centre but it had no rail connectivity to Cuffe Parade and interiors of Fort areas. Today, there are six-seven employment centres. Metro 3 itself is connecting six employment centres. Fort, even from CST, is another four-five kilometres inside and very congested. You need a bus or a taxi to go inside.